As painful as the Chattanooga shootings at two military facilities here have been, and despite the clamor sweeping the country to arm military recruiters and other service personnel working in peace-time jobs, our leaders should move slowly, if at all, to change the military's policy on guns in the workplace. The military knows this, and agrees. "We do not support arming all military personnel," Department of Defense spokesman Capt. Jeff Davis reiterated to national reporters on Wednesday. And both the Marine Corps and the Navy have asked that citizens not bring guns or "stand guard" at recruiting offices. "Our continued public trust lies among our trained first responders for the safety of the communities where we live and work," was the Marine message. The Navy was more pointed. 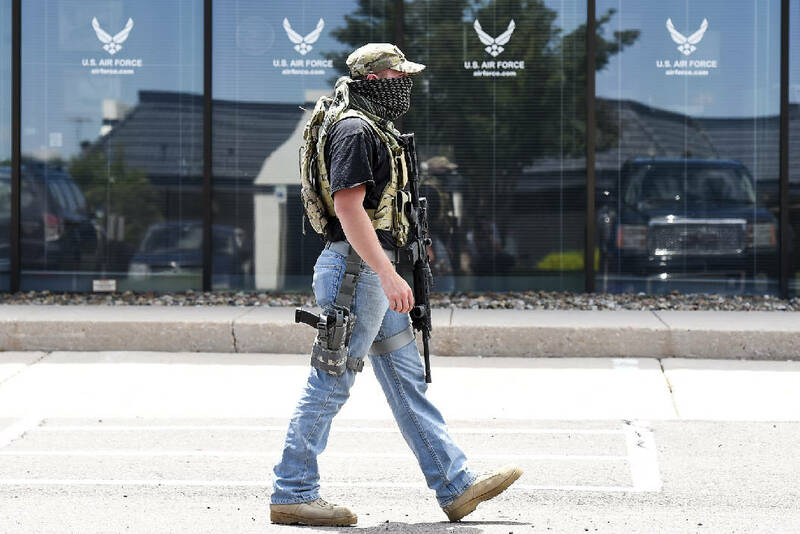 If armed civilians show up at recruiting centers, we won't be there, Navy officials said. Sailors will opt instead to spend the day at a school, mall, on travel or other duties that would keep them away from the center. But don't tell that to the several congressmen supporting bills — including U.S. Rep. Chuck Fleischmann, R, Tenn., — or to the governors of at least seven states (including Tennessee Gov. Bill Haslam). The governors already have preempted the Pentagon's own assessment of the situation ordered by Defense Secretary Ash Carter, rushing instead to allow National Guard personnel to carry weapons on bases and in recruiting stations. The National Rifle Association, too, has weighed in, releasing a statement blaming the deaths of the five service members on what it called misguided gun control policies: "It's outrageous that members of our armed services have lost their lives because the government has forced them to be disarmed in the workplace," said Chris Cox, executive director of NRA's Institute for Legislative Action. "Congress should pursue a legislative fix to ensure that our service men and women are allowed to defend themselves on U.S. soil." Naturally some of our congressmen, marching to the NRA drum rather than those of our seasoned military leaders, are rushing to do just that. The Military Times, reporting on the shootings in Chattanooga and the aftermath, writes that now "the Defense Department once again has found itself in the midst of a broader national feud about gun control, gun rights and public safety." Even the Chattanooga shooting incident itself seems to reiterate that current policy should remain future policy. According to the FBI, two servicemen in the joint Marine-Navy facility had personal weapons inside the facility. "At least one of those was discharged at the subject (the shooter), whether he was struck by those individuals is unclear at this time. The autopsy results are still pending. " said Ed Reinhold, the FBI's special agent in charge in Knoxville, during a Wednesday news conference here. Were those servicemen authorized to have the weapons with them? reporters here asked. Reinhold dodged that question, saying any authorization "is not relevant to our investigation. That's an investigation that will be conducted separately by the military. And I'm sure they will address it at some point when they have completed their investigation." Reinhold also dodged a specific question about anyone being hit by "friendly fire." Instead, he said, " We do not have ballistics reports yet . Preliminarily it looks like all victims were killed with the same weapon." Reinhold did not address those wounded. Further, if preliminary ballistics have told investigators that the victims were killed by the same weapon, then they also should be able to answer the unanswered portion of the friendly fire question. If there were no friendly fire wounds, a simple "No" would have been the easy and first answer from a clearly seasoned and capable FBI agent. In a best-case scenario, those personal weapons were in the military office here to no avail. In a worst-case scenario, those personal weapons may have served to intensify the shooting or even resulted in friendly-fire injuries. We are not suggesting here that the Marines and sailors involved in this horrible and tragic assault were not heroes. They most definitely were. But more guns didn't and won't keep them, or us, safer.